Are you guys summer ready yet? My summer starts a little earlier this year because I’m now in the USA for two months! Most people will go there to celebrate their holidays, but my story is a little different. Three years ago my neighbor and really good friend, Katelijne, went to London to do a MA in Documentary Film Making. She graduated successfully last year and she was asked to make a promo film for a company of a friend that organizes sailing trips. So she spend two fantastic weeks sailing through The Caribbean. One day she was busy mounting a GoPro on the bow of the ship. Everything seemed fine and the sea was calm when suddenly five ‘monster waves’ appeared out of nowhere. A monster wave is a wave which appears suddenly and can be extremely dangerous, because they are very high and steep. The ship sailed right into them and she was launched in the air when the deck crashed down in the valley behind the wave. While she was falling down the boat was being pushed up again by the next wave, so her body hit the deck with an enormous impact. The third wave broke her back. Suddenly she had no feeling left in her lower body and she realized she was paralyzed from the waist down…. 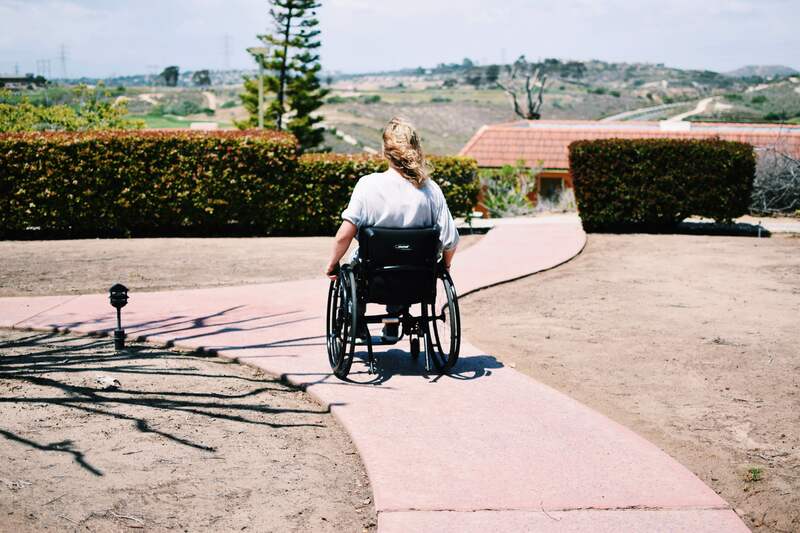 Soon the doctors told her that her worst thoughts were true: she had a spinal cord injury. She needed surgery immediately and was evacuated to the Dominican Republic. The doctor gave her a titanium vertebrae and stabilized her spine with pins but she was still paralyzed. She flew back to Amsterdam where her doctors told her she would never walk again and that she had to prepare for life in a wheelchair. In the rehabilitation centre they taught her how to dress in bed, how to ride her wheelchair etc. Basically how to live with paralysis. But she wanted more; she wanted to walk again or at least regain as much function as possible. No organization in the Netherlands could offer her this kind of therapy so she searched for other options to recover and she came out here, to San Diego. Now she’s recovering at Project Walk: a paralysis recovery centre where the trainers are specialized in regaining function in patients with a spinal cord injury. They understand that every person has special needs and that every paralysis is different. It’s very hard work and mentally very tough as well. You have to be so motivated, so positive, so strong and you can’t just do that on your own. You need people who can support you on a mental level. And here at Project walk they can. When I first visited Project Walk I saw so many people dealing with all kinds of different problems. Young people, old people, even a baby. And the trainers treat them all with respect, love and care. It’s just amazing and everyone is so positive. And best of all: most people achieve things doctors said they would never be able to do again. Not everyone comes out walking, but most people achieve great things! Now I’m here to take care of her. Most things she can do by herself, but little things like cooking and driving she can’t and she needs a little help. Want to stay updated and read about Katelijne’s situation? Follow and like Katelijne’s Recovery Documentary on Facebook!